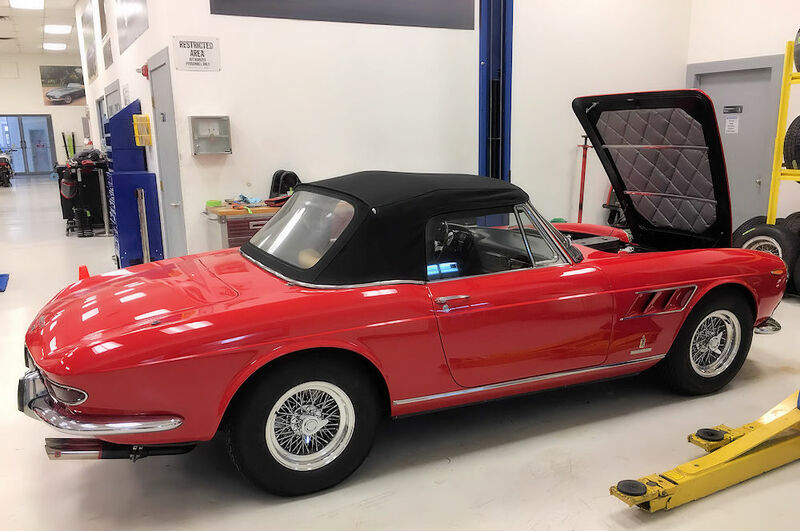 We are delighted to have been entrusted with the care and servicing of this beautiful Ferrari 275 GTS. 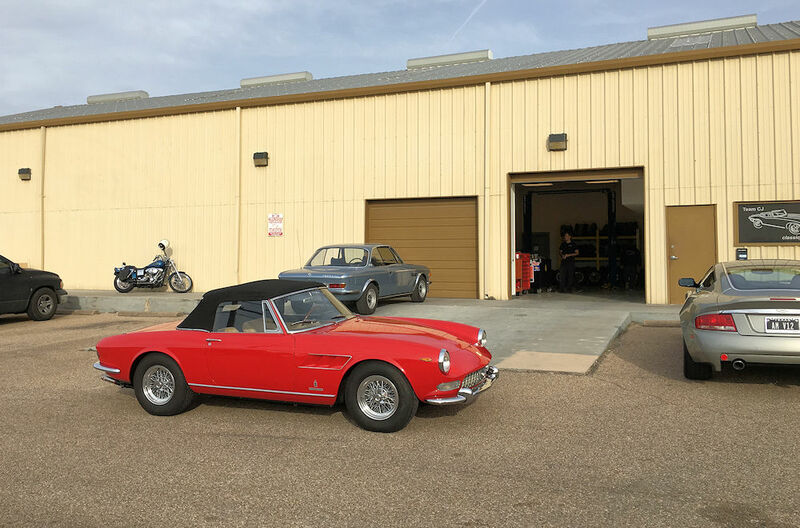 The current project involves correcting issues with the brakes, ride height, fuel delivery and tuning. The car had a problem with the brakes not releasing once applied. 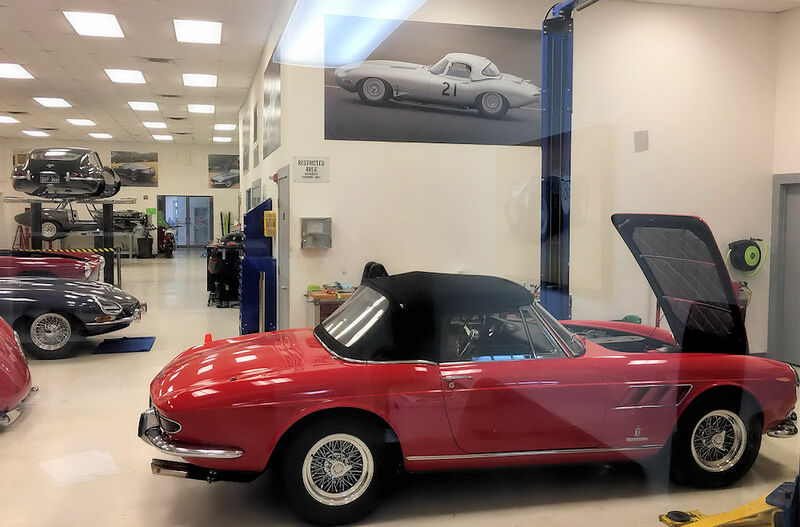 Initially we assumed it was a master cylinder problem, although further investigation showed the master cylinder to be working normally. 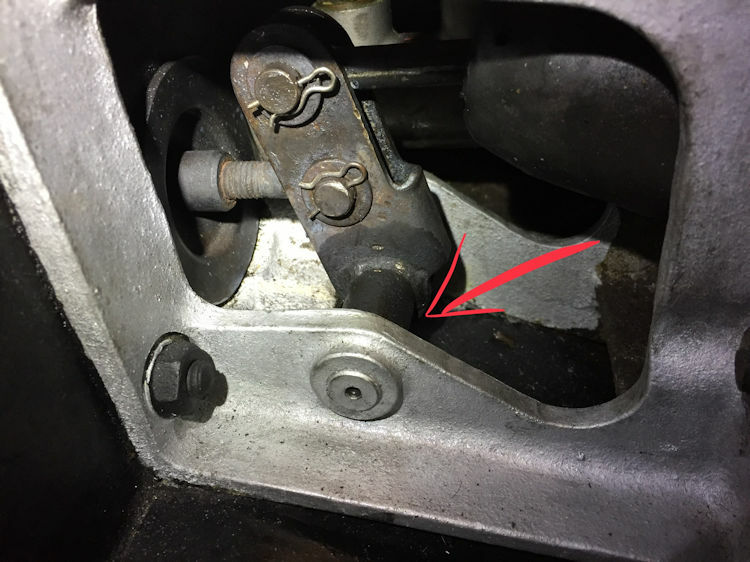 We eventually discovered that the lower pivot pin on the brake pedal actuating mechanism was sticking, not allowing the rod to return. 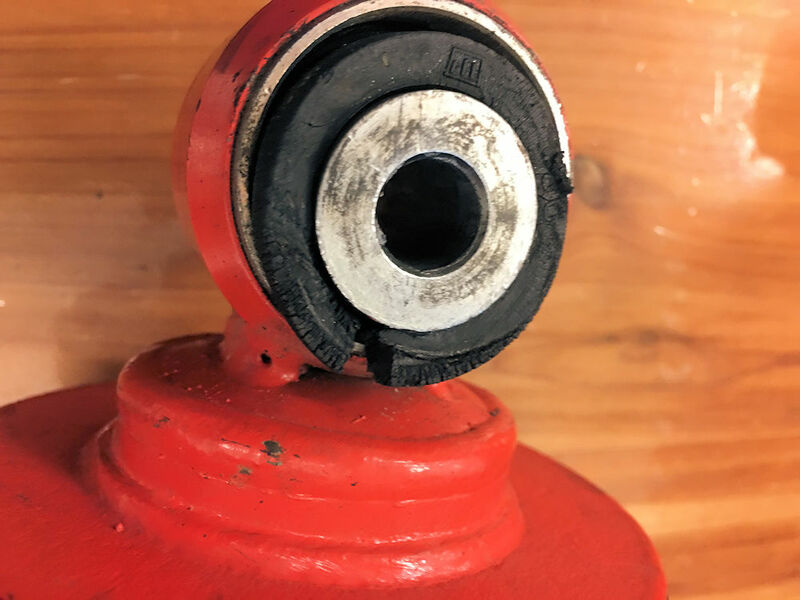 We were able to free up the pivot pin with the application of localized heat and penetrating oil, resulting in a smooth operation and consistent pedal return. 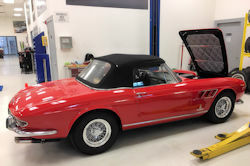 The brakes are now working perfectly. Our first task is to investigate and correct a ride height issue. 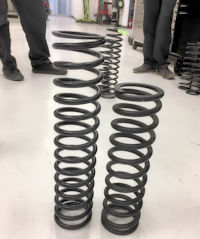 As received, the car was almost 2 inches low at the front and also too high at the rear. The front tires were contacting the inner fenders and the front suspension was bottoming out over even moderately inconsistent road surfaces. We discovered that recently installed road springs were undoubtedly the cause of the issue. 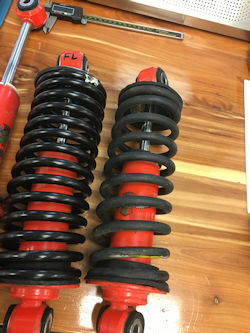 The new springs were far longer than the factory originals, and were virtually coil bound at the front, even at rest. 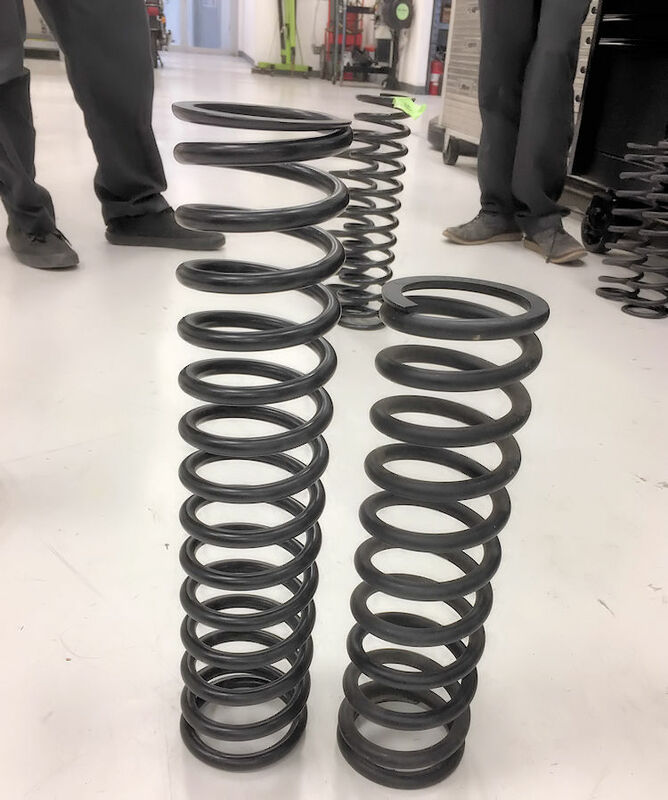 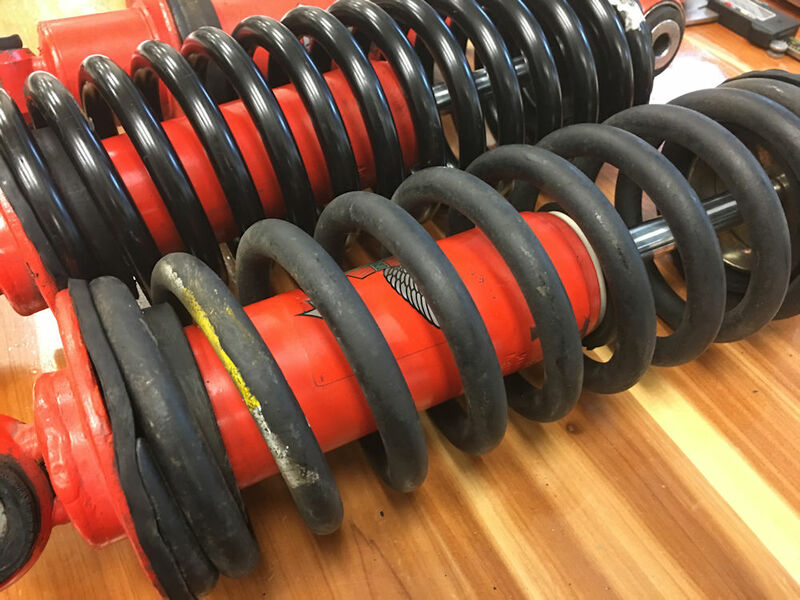 Reinstalling the original springs restored the ride height back within factory specifications per the workshop manual. Shock absorber bushings were worn and split and will be replaced in due course (on order). 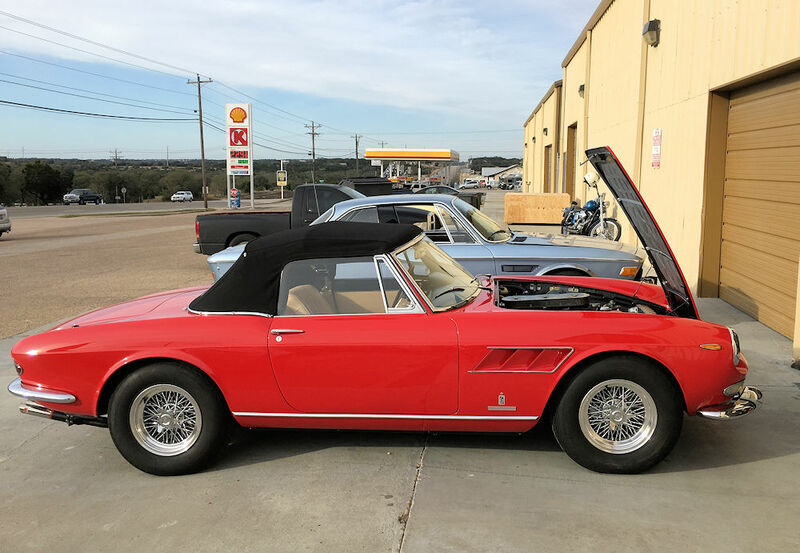 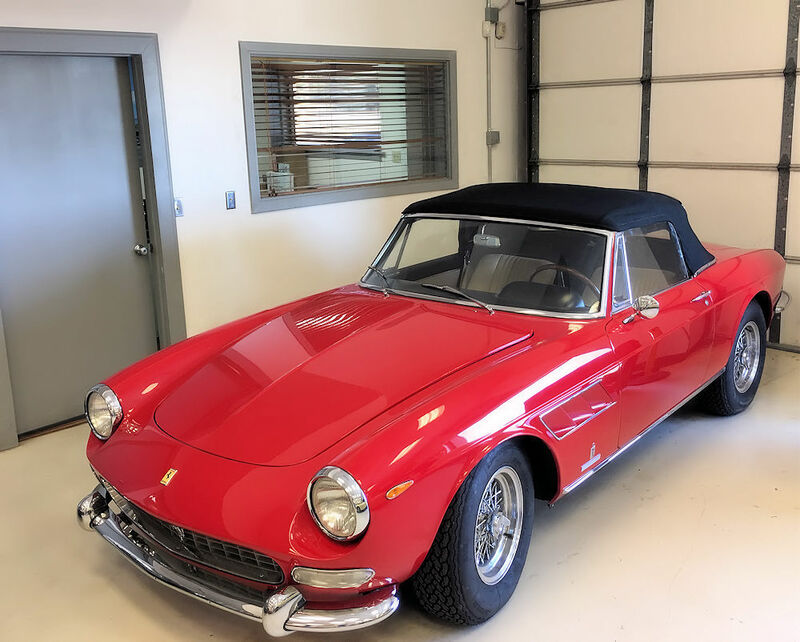 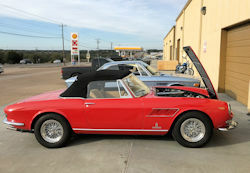 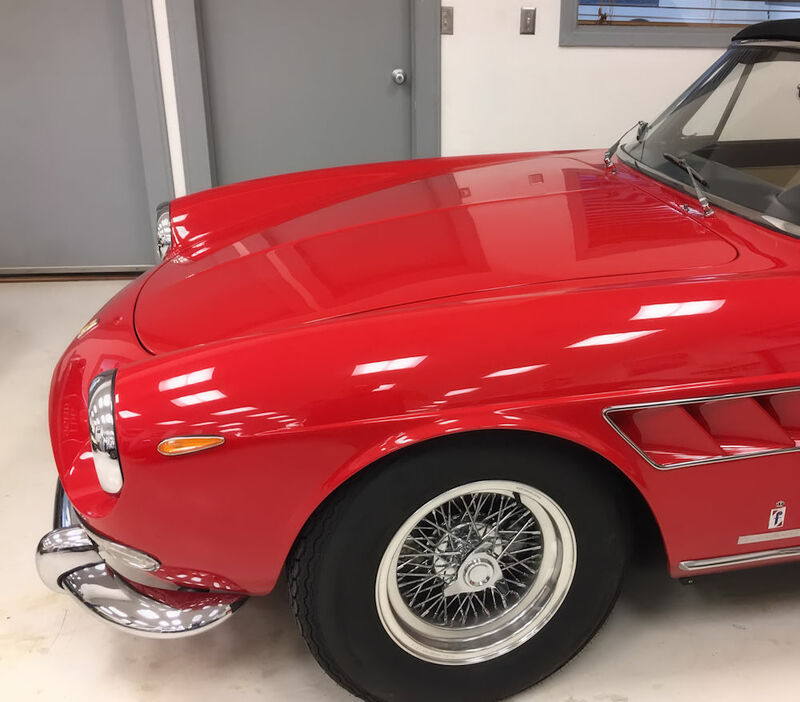 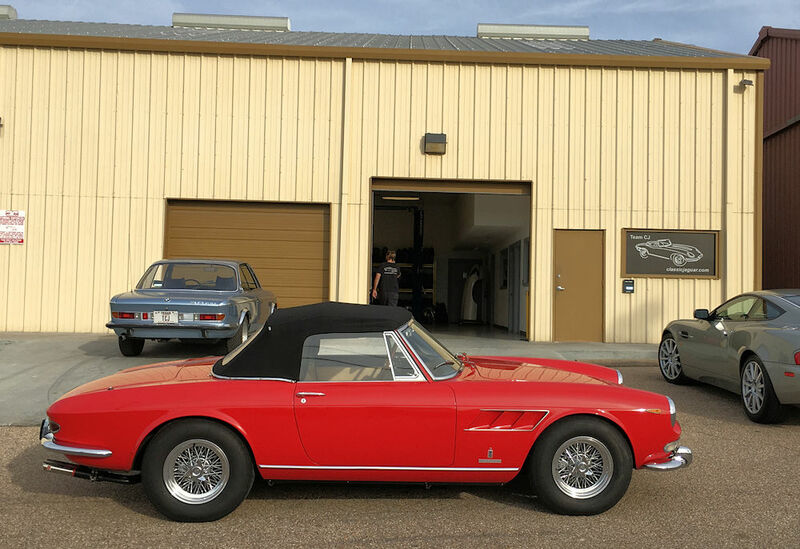 As part of a recent Ferrari Classiche certification, it was identified that this 1965 GTS had incorrect 14 x 7" Borrani wheels (RW4039) shod with Michelin XWX 205/70/14 tires. 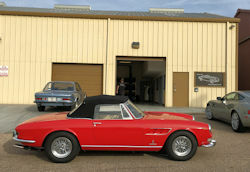 Originally the 1965 GTS came with RW3874 (14 x 6.5") Borranis and 185/14 tires. 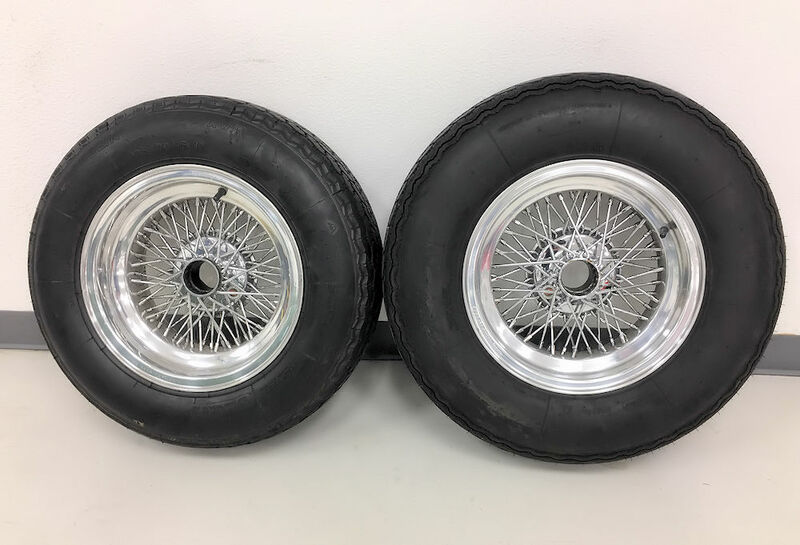 As it is no longer possible to obtain a direct replacement for the OEM 185/14 tire, the commonly accepted alternative is a 205/14, typically a Michelin XWX. 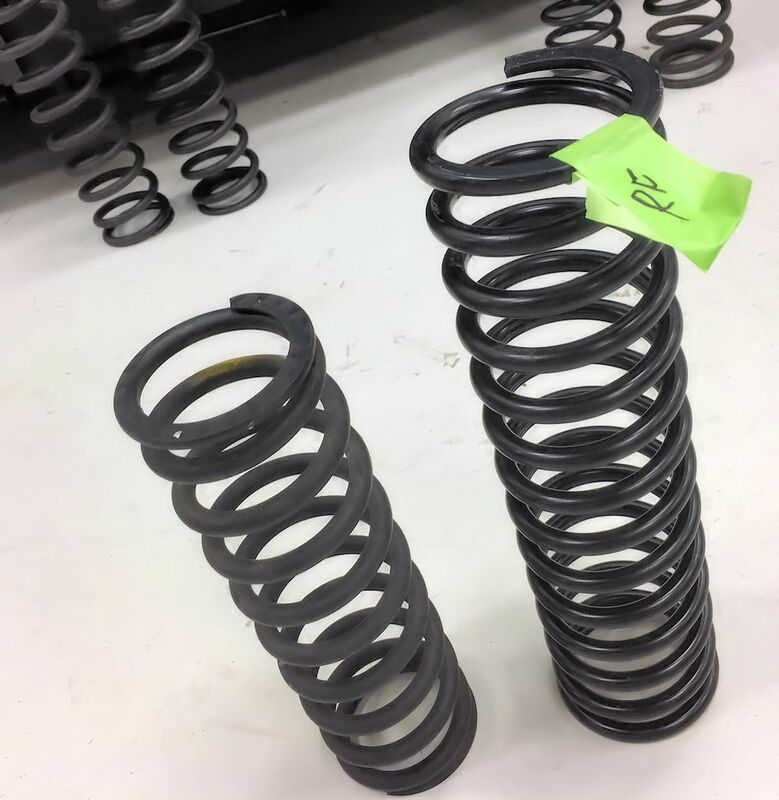 The 205/70 XWX has a similar profile and overall size to the OEM 185/14. 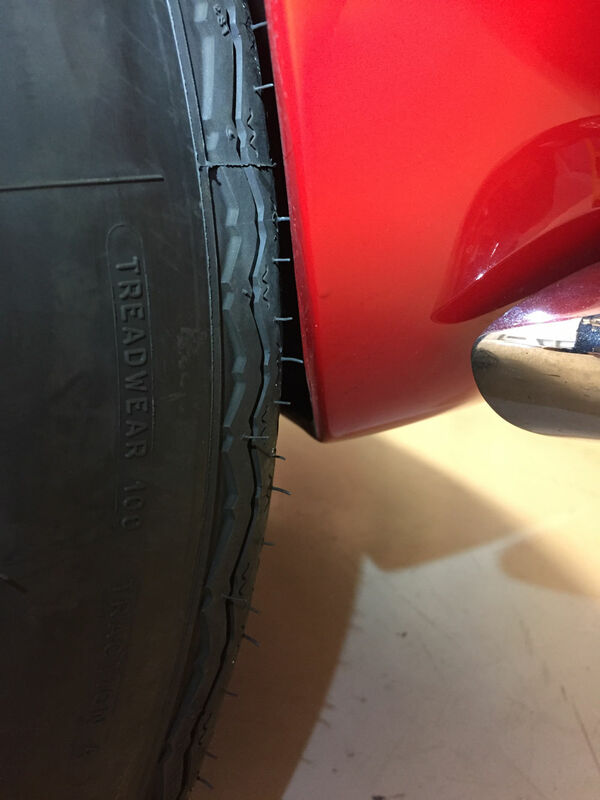 However, the 205VR14 XWX has a much taller sidewall than the 205/70 previously installed. 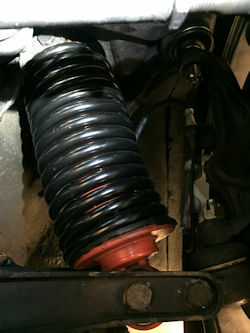 As a result, there is barely enough room for the 205VR14 within the front arches. 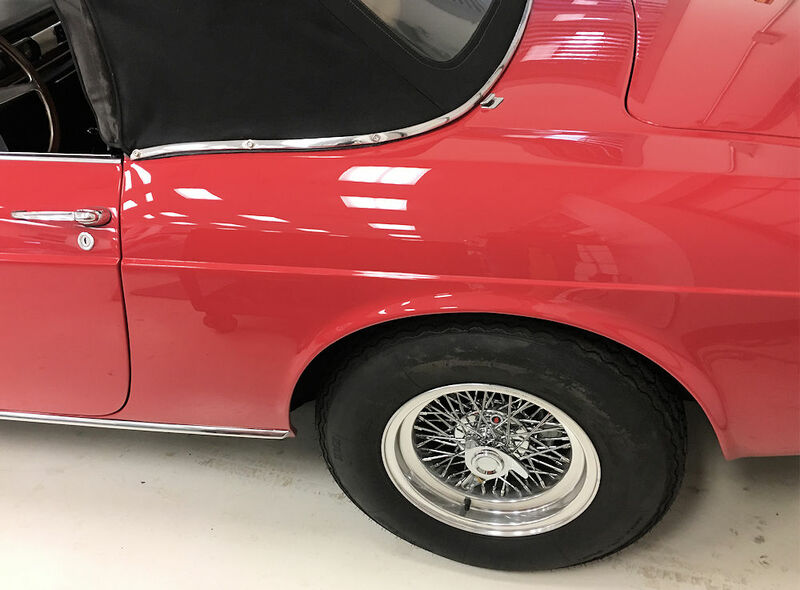 The new tire does clear the forward edge of the front wheel arch when the wheel is turned, but only just! 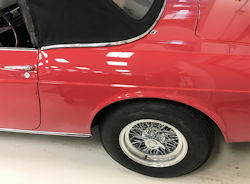 wheel turn to the left!